Teens are closing up their books and are hitting our roadways in full force with the end of the school year. Proms are wrapping up and teens are walking across the stage for that hard-earned diploma. What they’re doing after that is concerning many and parents are in on it, according to Daily News. To help to keep our students safe, parents are being targeted. Officials throughout the state are asking parents to refrain from hosting underage drinking parties over the summer break. Oftentimes parents think that it’s okay to serve their graduates alcohol as long as they’re in the safety of their own home. Unfortunately, friends of their teens are oftentimes hop on our roadways to head home afterwards. This is a commonality regarding teen drunk driving accidents in Boston and elsewhere. 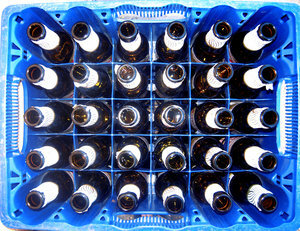 Our Boston drunk driving accident lawyers understand that it’s illegal in all 50 states to provide alcohol to a minor. In the state of Massachusetts, it’s illegal to not only provide the booze to our young ones, but it’s also illegal to allow them to possess it on your property. If you’re busted letting your teen or their friends drink at your place, you can face a $2,000 fine. If one of these kids gets into an accident after consuming alcohol you’ve provided or after consuming alcohol on your property then you’re in a whole heck of a lot more trouble. In Essex County, many parents, guardians and other adults have been charged, prosecuted and have even served jail time for allowing minors to consume alcohol. According to a recent release in the New England insurance industry’s weekly publication The Standard, “The Risks of Providing Alcohol, or, A Place To Consume Alcohol, to Minors,” there are a whole slew of risks associated with allowing minors to drink. Every year, there are thousands of car accidents involving intoxicated teen drivers. It’s important for parents to slam on the brakes when it comes to teens and booze. As a matter of fact, teens that are allowed by parents to consume alcohol have a higher risk of dealing with alcohol problems as adults, according to the American Academy of Pediatrics. Officials in Essex County spend much of their time talking with teens, teachers, law enforcement officers and educators about the dangers of underage drinking. At all levels of blood alcohol concentration (BAC), the risk of involvement in an auto accident is greater for teens than for older drivers. Parents are asked to stay involved in their teen’s driving. Know who they’ll be with, where they’ll be going, when they’ll be home and what they’ll be doing. Parental involvement is one of the best ways to keep our teens safe behind the wheel. The Law Offices of Jeffrey S. Glassman, LLC is here to offer help to the victims and the family of victims who have been involved in a drunk-driving accident in Boston or elsewhere throughout the state of Massachusetts. If you or your teen driver has been injured or killed in an alcohol-related car accident, call 1-888-367-2900 to set up a free appointment to discuss your rights.